Information about Era of Enlightenment products and how they works. In a nutshell, all the Era of Enlightenment products give life. It does this by removing the ego that is in power and suppressing life. 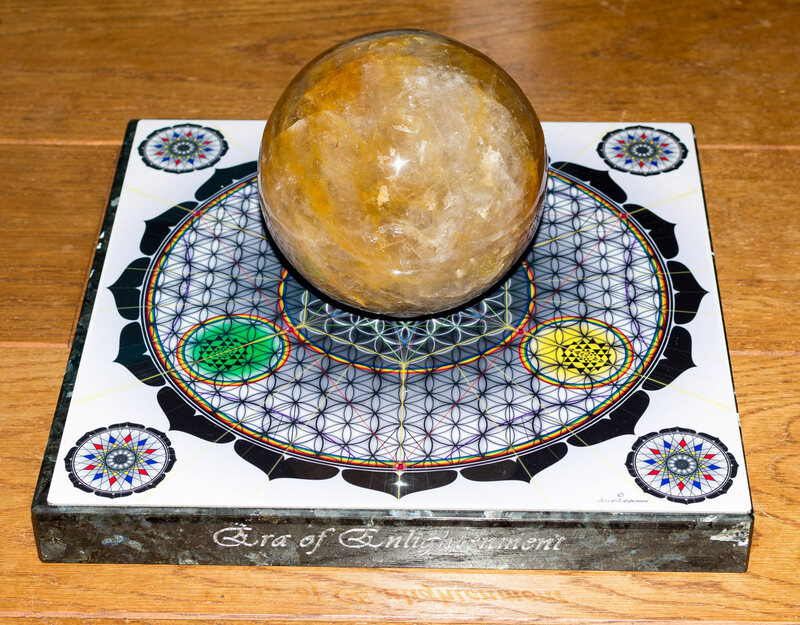 Like being near a spiritual master, the EoE crystals instandly work on you by lifting you up to a higher awareness and ability to dissolve stress, karma, blockages and the ego itself. When the ego dissolves, life takes over and you start to live more on a flow of what is meant for you. One of the main energetic methods of how the EoE does this is by awakening and developing the kundalini. Kundalini is a Sanskrit word meaning coiled and refers to the sexual energy moving up the spine and into the brain for the purpose of reaching radient health, bliss and ultimately enlightenment. 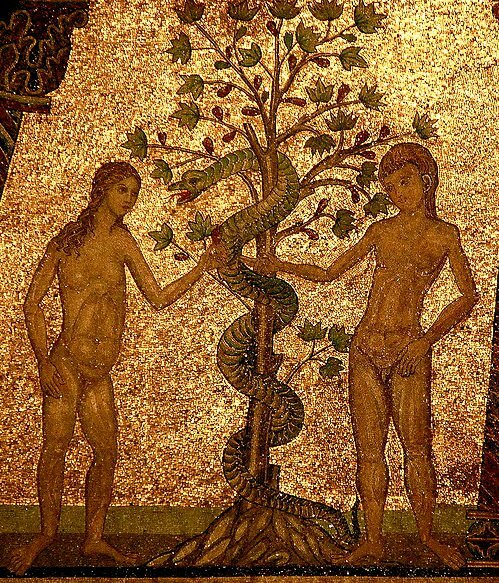 It is depicted as the 2 snakes moving up the spine as can be seen in the Caduceus medical symbol and fire inside and around the body as done in many religious and spiritual art. Awakening the kundalini however was something extremely difficult in the past and was only available for those living in the far east where a master would initiate a student into the awakening process. Most of the Yoga traditions and Bhudhistic traditions aim at this goal to awaken the kundalini and if you look carefully you will find that all the major religions started out with the awakening of the kundalini as well, but lost its technology over time. Well in this new era where scientific technology improves every day at an ever faster pace, the spiritual technology was not stagnant either. With many years of research and precursors such as Tachyon, BioGenesis, Dominus Cervix and MX2 we can proudly welcome the most advanced spiritual technology yet available called EoE (Era of Enlightenment). This technology makes it possible to safely awaken the kundalini, clear all blockages in the spine while silences the mind and opening the heart, giving way to the possibility of reaching enlightenment in this lifetime. Awakening the kundalini is a requisite for enlightenment and is a long process of cleansing all the emotional, mental and physical ailments a person has. Normally a teacher would guide a student through this process as there are many obstacles to overcome especially if the kundalini is awakened but the spine is not cleared of blockages yet, blocking the energy from moving up further and creating pressure and problems in and around the body and mind. This venture started back in 2013 and in 2014 it gave birth to its first products called the MX2 now in the hands of Circle of Rotations. In 2016 with many new insights and a deeper research into the phenomena called the rainbow body (explained later) it gave rise to a new product line called the EoE. So let us dive deeper into what EoE products really are. 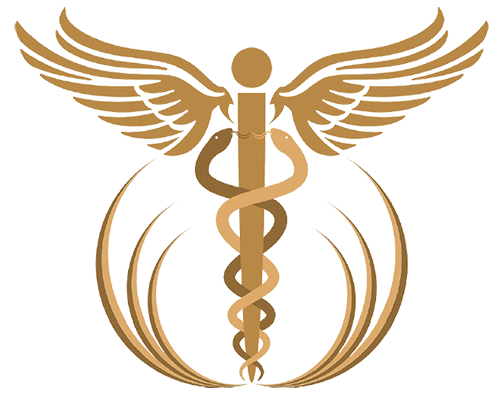 In a nutshell you can say that the EoE products are the ultimate tool in holistic healing and spiritual growth with the ability to not only awaken the kundalini completely but also opening the heart and silencing the mind which in turn gives rise to states like self-realization and unlitmately enlightenment. 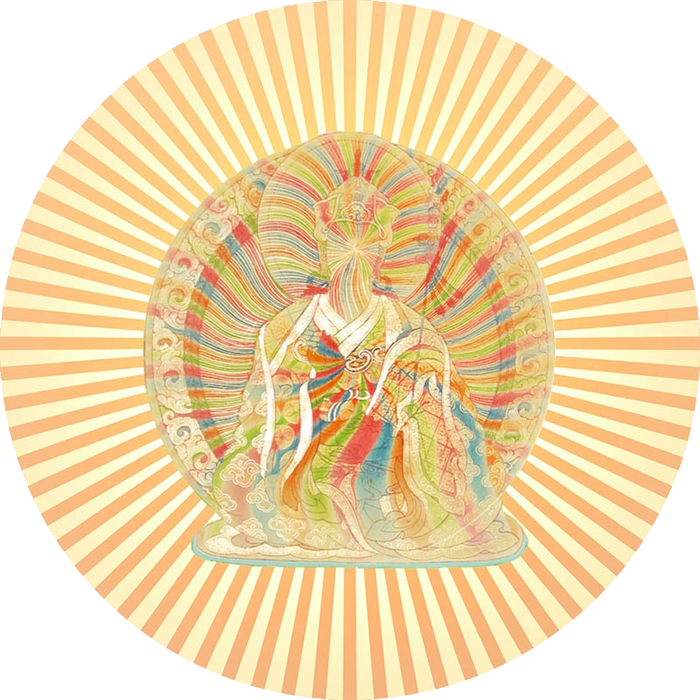 At its heart the EoE is Buddhistic in nature, attuned to the phenomena called the Rainbow body (explained later), however it is not limited to Buddhism at all. It also contains most of the ancient and modern healing frequencies from ancient Egypt to the more modern reiki, qigong, shamanism, you name it. Even the whole crystal world is integrated in it from the extremely rare crystals to the more common ones. It is also specifically attuned to releasing stress from the body / mind structure from all levels, be it stuck emotions, problems, ego games, suppression, feelings of guilt, desires, pain etc. and even more fundamental, the ego itself – otherwise called the “I” thought. The EoE also neutralizes outside influences such as electrosmog, black magic, drugs, toxins, harmful medications, bacteria, viruses, again you name it. Even though you will not become immune to these influences in high concentrations, it makes the body / mind cope with these influences much better to the point where normal levels of exposure will not cause you trouble anymore or the EoE will show you to stop abusing the body, like in the case with sugar, drugs or alcohol by giving you clear bodily reactions (such as throwing up) that are much less desirable then the temporary high you get from using them. In the case of spells and black magic, it will bring up the programs installed for you to experience and to let go of it – no more hidden stuff. In other words in time the EoE can bring you or put you into a radiant healthy state. So how is this all possible? Well the EoE contains all the frequencies known in the universe from zero to infinite and uses these frequencies in combination with the principle of resonance to get rid of any unwanted stuck energy located inside and around the body. This in turn opens and breaks the 3 major energy knots inside the body/mind (also explained later) awakening the kundalini in it’s process and clears a path for the kundalini to flow out of the crown of the head, silencing the mind and burning away emotional stress and karma on its way that in turn opens up the heart and creates a secondary flow downwards that cools the body and grounds the energy completely. So let's take it step by step to give you a deeper understanding of the workings of the EoE. As mentioned above, it starts off with the principle of resonance. To understand this principle we first have to understand what is energy and what is frequency. In simple terms, energy is the action or movement of anything in the universe and frequency explains how it moves, normally in a wave like motion. In terms of the human body, energy is referred to as life energy or simply life and can flow freely or be stuck in certain places inside and around the body. Life energy normally enters the body via the crown of the head and exits out of the perineum near the base of the spine and out of the feet and hands and vice versa. If it enters the body via the perineum it is referred to as sexual energy and when it enters the crown of the head it is normally referred to as consciousness or awareness. When large numbers of neurons synchronise their “fire”, it will give rise to neural oscillations, otherwise called brainwaves. This can be measured using EEG. These neural oscillations have different frequencies and amplitudes and this where the EoE works on. As all stuck energy, stresses, emotions, problems etc are fundamentally the same, being that they are all a form of condensed energy located somewhere inside or around the body, having a specific frequency, using the principle called resonance you can break them apart and dissolve them into pure energy that leaves the body in the form of heat and light. Resonance is the state of a system (such as a specific stress) in which an abnormally large vibration is produced in response to an external stimulus (the EoE) occurring when the frequency of the stimulus is the same or nearly the same as the natural vibration frequency of the system. As the EoE contains all the frequencies, it has the potential to locate all the stuck energies and dissolve them one by one using this principle. Take for example a problem. At its core you have a wave of energy consisting of something you want and a counter wave of the outside world wanting something else. In the middle these 2 waves meet and condense together to form a layer of stress. If you know the exact frequency of this problem (such as talking about it – in other words feeding it with life energy) you will make the stress layer alive and if you make it resonate strong enough it will eventually break apart to give way to silence and freedom. This is exactly what the EoE does without the talking off course. It makes these stress layers alive and let them resonate to the point where they simply break and start to flow freely out of the body, not to be placed in another location, but flowing out of the crown of the head as heat and light never to return again. The next step of the workings of the EoE is the awakening of the kundalini and the opening of the 3 main energy blockages inside the body. As explained earlier, when the life energy enters the body via the perineum it is referred to as sexual energy. When you are sexually active the body reacts similar to when it is exposed to stress and it contracts the muscles near the perineum and reflects the energy outwards and blocking the energy from moving upwards. This blockage is called the Brahma Granthi, the first of the 3 main blockages and is also referred to as the Dan Tien in Qigong and Tai Chi. This blockage is the main reason why the kundalini is asleep in most people in the first place. It consists of all the stress of simply being naked and the idea of ownership and desires, be it mental, emotional or physical. Many people these days have heard about steering the sexual energy instead of just letting it bleed out of the sexual organs and out of the body. This is called Tantra and is a very powerful tool in spirituality and health. Well the EoE contains all the frequencies needed to open up the Brahma Granthi so that the kundalini will actually flow up and into the spine instead of outwards. This is the starting point of the awakening of the kundalini. The statue on your left is called a Shiva Lingam, representing the union of man and woman where the lingam represent the actual sexual energy moving up the spine. When the energy enters the body via the crown of the head, referred to as consciousness, it also meets a blockage that prevents the energy from moving downwards. 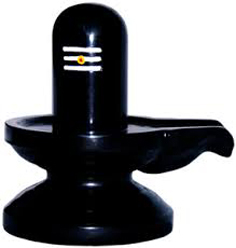 This blockage is called the Rudra Granthi and consists of the mind and ego. Again evolution has found a way to reflect the energy, this time into the mind and making the mind alive and react to the environment. The mind is nothing else but stored stresses and the ego is nothing else but a focus in these stresses. When this blockage is exposed to the EoE it will also slowly dissolve, making the mind more silent and killing the ego in the process. In between these 2 blockages is the heart and here is where you find all the emotional pains and sufferings and together they form another big blockage called the Vishnu Granthi also referred to as the wall around the heart that makes a person tough and cold. When this knot is exposed to the EoE it will clear all these old pains layer by layer and give way to a warmth and open hearted feeling like never before. These 3 blockages are never 100% blocked though, there is always a little bit of energy seeping through. Without is the body is dead. However once you start to play with the power of the kundalini, you will meet these blockages and be confronted with the stresses contained within them. The EoE is of great help in this process as it actually drills a pathway through all the 3 Granthi’s to the point where there is no access energy buildup anymore inside the granthi’s and the kundalini can flow out freely out of the crown of the head. Because of this pathway the whole energy system is vertically open and this makes it possible to create another flow which is missing in tantra, yoga and qigong and that is the vertical movement downwards that not only grounds the energy very well but also cools down the body. This cooling is needed because the kundalini burns karma and this has the tendency to warm up the body a lot (like hot flashes). So the EoE also produces a downward flow that is attuned to all the healing methods known in history, such as reiki, shamanism, shamballa, white time, deeksha etc. Also the healing frequencies of homeopathy, bachflower remedies, herbs, vitamins, minerals, trace elements, essential acids and even bioresonance and similar are contained in this flow. In other words the EoE is a combination of the most powerful energies and clearing methods known to man all combined with the unique ability of awakening the kundalini as a whole and opening the heart in the process that would normally take decades to achieve in full time meditation if ever achieved in the first place. But a fully awakened kundalini is not the end of the process. When the kundalini keeps on growing in size and power with the accelerated help of the EoE, states like Self-realization and God-realization come within reach. Self-realization is the actual realization that you do not exist, not merely knowledge or understanding, but actualizing it. 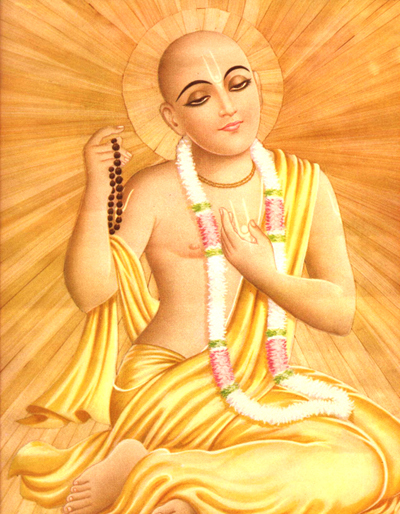 God-realization is the actual realization that all is God. Beyond these realizations you enter into the light states where the body starts to change as well. This is called enlightenment. There comes a point where the body does not need any food anymore to survive and even breath and sleep leave the body. These are very basic and fundamental stresses that the body has acquired over the ages of evolution to survive. When the kundalini is so advanced that it starts to dissolve these stresses, the body will start to dissolve as well and shine real light. This is the domain of the Rainbow body, otherwise known as Jalus in Tibetan Buddhism. My personal teacher is close to this state and I have personally witnessed that she does not breathe however remains functional. Also she does not eat nor drink. 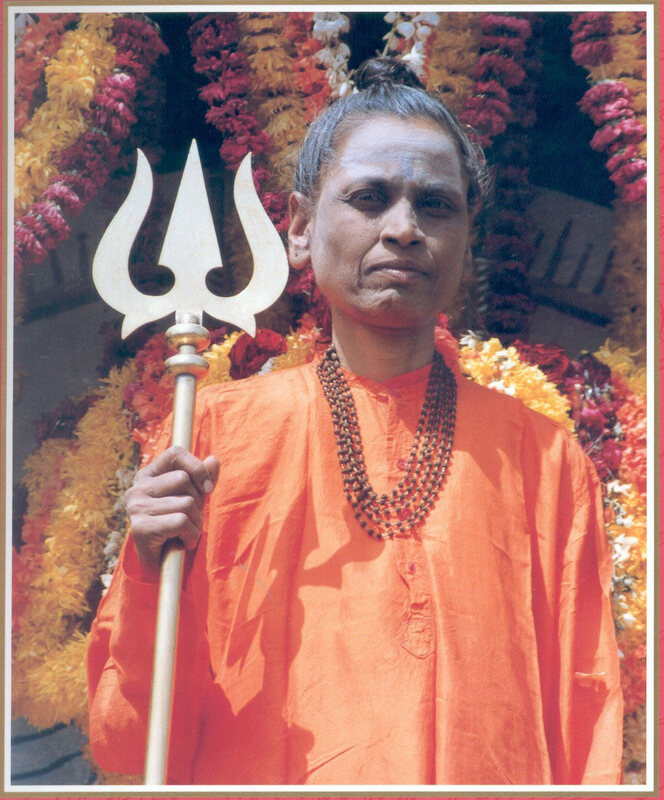 Her name is Mahayogini Sri Manikeshwari. A Rainbow body is a fully enlightened person who also liberates the body into light. This is the highest state attainable in meditation and kundalini evolution that is not just an idea or hope but is actual fact with plenty of examples in the past. 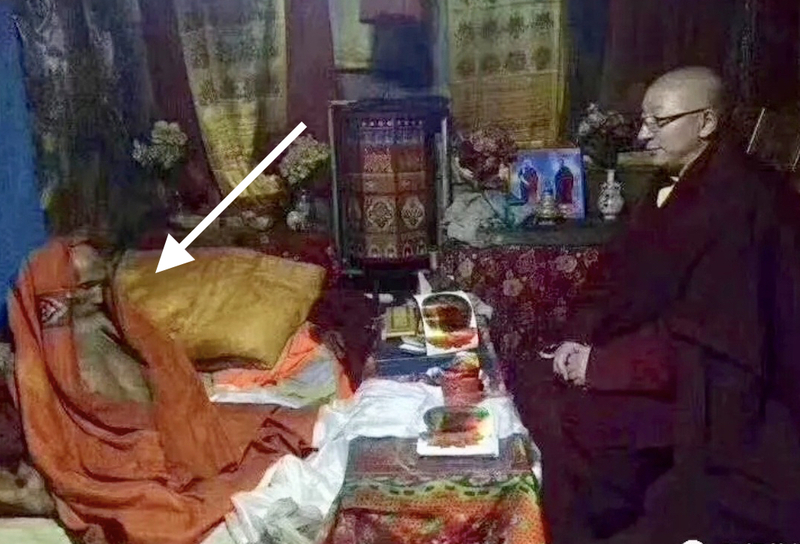 Actual photo taken of a Rainbow body in Tibet. The Lama in the picture was 80cm tall and shrinking. So how is this all stored in a single crystal? In Tibet and India it has long been known that saints are surrounded by this bubble of kundalini energy and when you enter this bubble, the kundalini will also ignite in your system and jump-starts the kundalini and cleansing process immediately. This process saves many years of dedicated exercises and mediation. It is like a candle that you are trying to lit. Without a match or other source of fire it is almost impossible to light the candle, but if someone would offer you an already burning candle, it is a piece of cake to ignite your candle as well. The same counts for sitting near a saint. 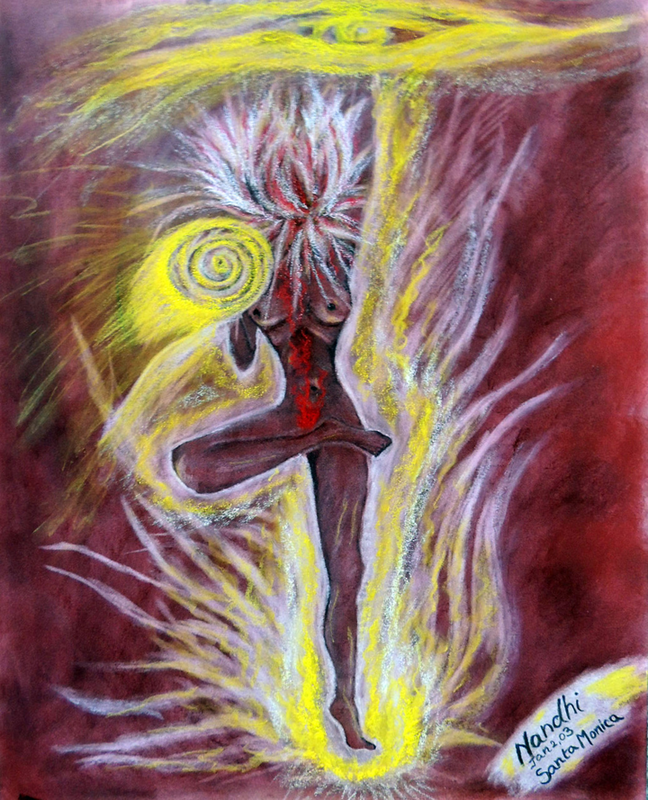 Without effort the energy will ignite the kundalini in you and starts the process of awakening. Well by using specific geometry in combination with some very powerful other methods it is made possible to mimic this process and at the same time add all the frequencies from zero to infinite inside a crystal system without ever loosing these frequencies and energies. You can say this process of training a crystal is actually making the crystal alive. 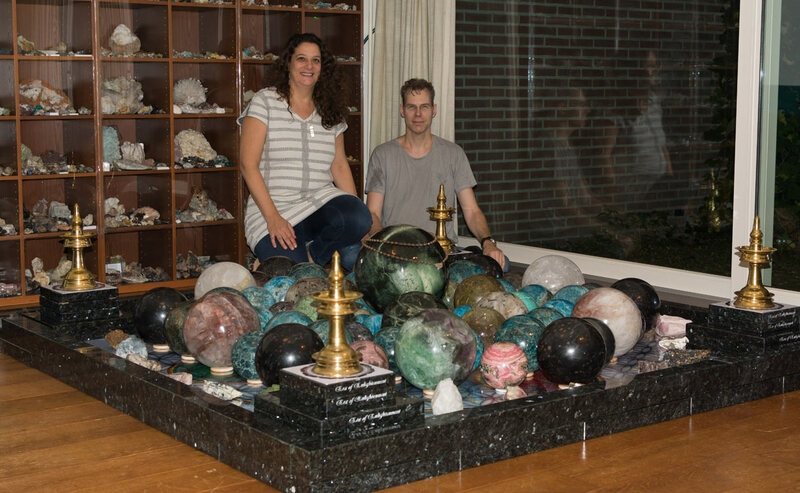 It has nothing to do with programming a crystal such as sanjeevini or Albat or homeopathy and it also has nothing to do with putting in energies or symbols such as reiki or white time. Also tachyon has nothing to do with the EoE as this technology works with particles even though they are massless. The EoE goes beyond the tachyon where is has the ability to dissolve the whole of reality as we know it while tachyon maintains that structure. Also the choice of material to store the EoE was a very specific one. After looking into the many different options such as glass or fused quartz, metal, wood or acryl, it became apparent that to fully incorporate the power of the EoE we would need to search into the natural crystal domain to find our product of choice. Don’t forget that the EoE actually makes a product alive and using a dead material makes this very hard to accomplish. It is still possible to train these dead materials and the power and frequency will still be much higher then any other product or method around, however it will not match the power of a real crystal. 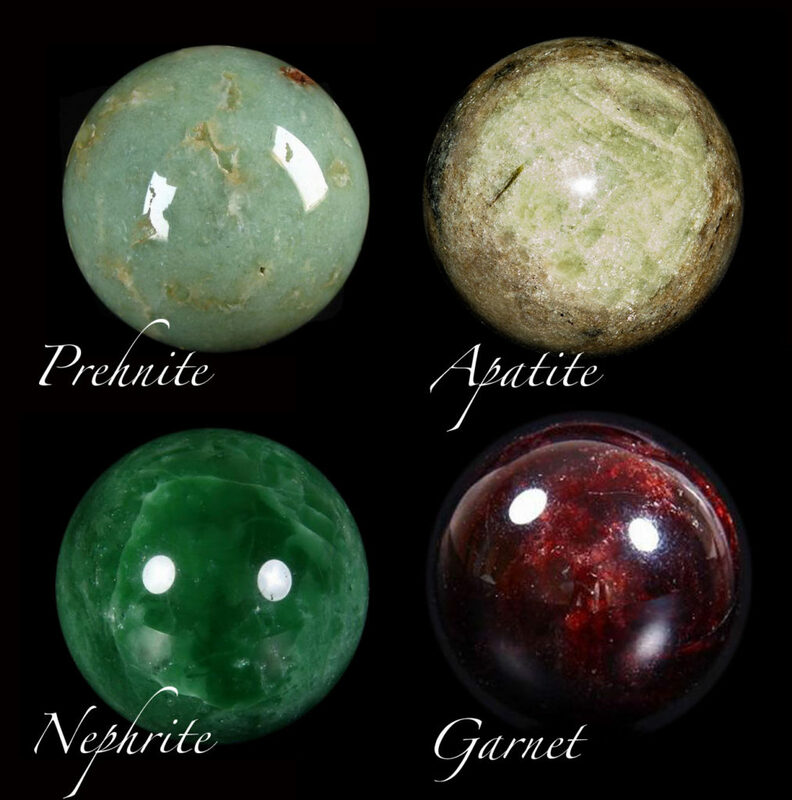 The second best mineral was Herderite followed by prehnite, nephrite and garnet. 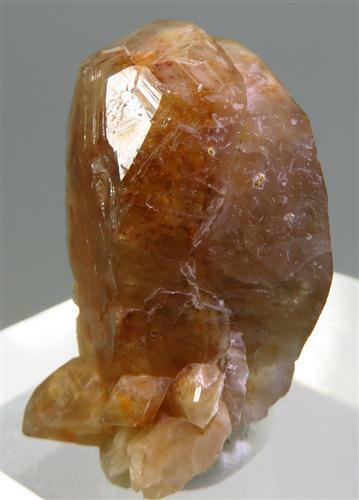 Brown Herderite with 4 crystal spheres. Natural quartz and its colored versions amethyst and citrine also worked well and it was very interesting to me that glass did not work well at all, even though chemically they are the same. Again after some research it was clear that glass has no more flower of life structure and that this is the reason why you cannot energetically make glass alive. 2 flowers of life cut in rock in the red ochre Temple of Osiris at Abydos, Egypt. Dated back 2500 years ago. 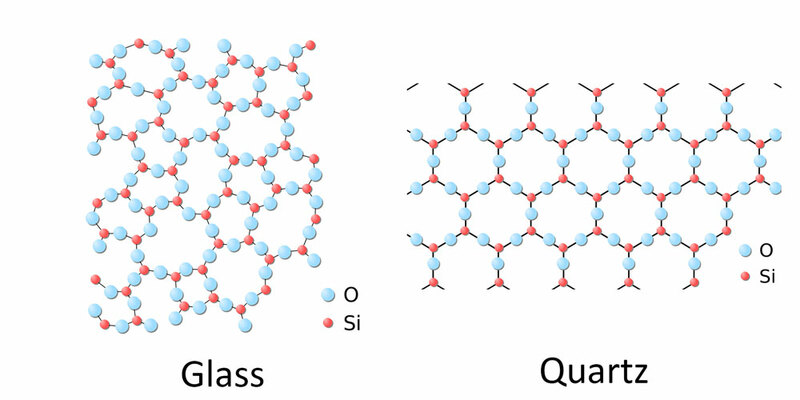 As you can see in the image above, glass and fused quartz have no flower of life structure anymore. The same counts for Obsidian, Opal, Goldstone, Gaia stone, Apache tears and Moldavite – they are all forms of glass and not crystals. After doing more research into this flower of life, it is not only the pure flower itself but also the added geometry around the flower of life that creates all the energies. 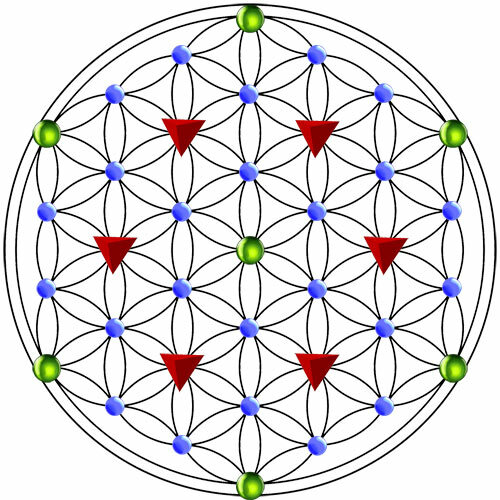 In other words, the different sacred geometries inside and around the flower of life structure create the different frequencies for a crystal and the more symmetric the flower of life is, the more power these frequencies have. Compare it to a magnifying glass. The bigger and more symmetric and clear the magnifying glass is, the better and stronger it can bundle (light) frequencies, but the magnifying glass does not contain frequencies, only the power to bundle them. Same for the flower of life structure – it is like a magnifying glass, magnifying the sacred geometries inside and around the flower of life. Chemical structure of Apatite and next to it the simplified chemical structure that shows the flower of life clearly. But this still does not explain why apatite in combination with the EoE entrainment works so well in raising consciousness, awakening the kundalini and clearing mental garbage. 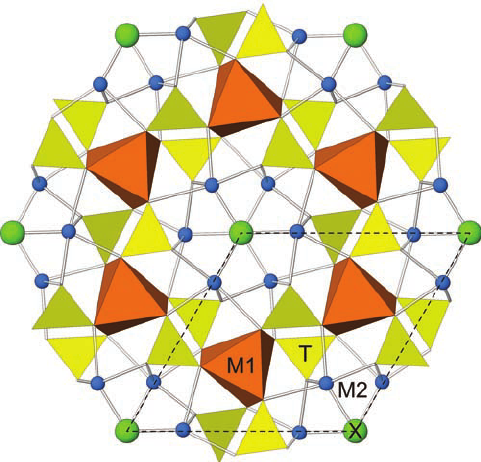 The answer was finally revealed to me when I realized this material is abundantly found in the human body, being bone and teeth and that there is a quantum connection happening with apatite and consciousness like no other material. This connection was also found in the research material of Matthew Fisher on quantum consciousness and the Posner molecule. In other words we are more then just a biological neural network but our origin is found in a quantum neural network, connected to everything. 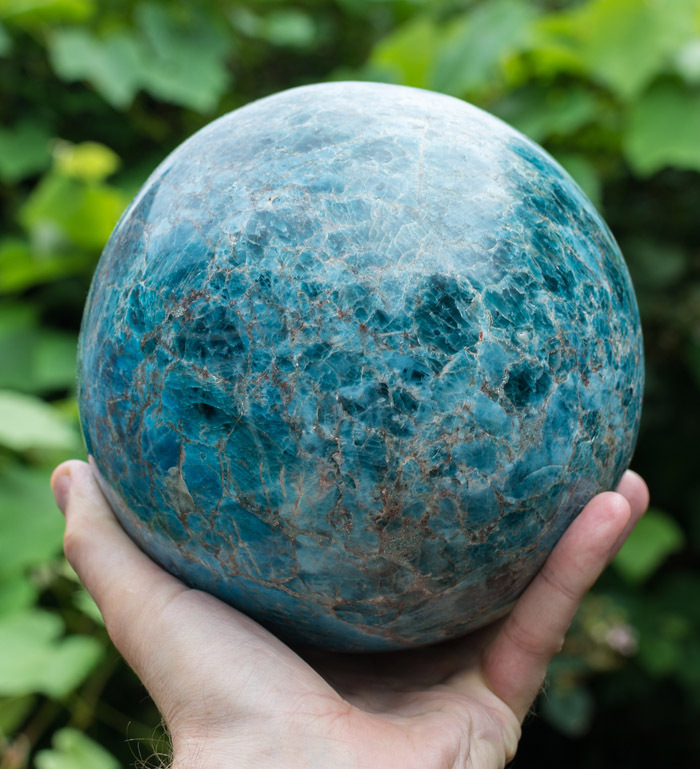 Another interesting fact is that it needs to conduct the energy and the best material for that is aluminum, so we have constructed the best geometry to mimic the apatite and herderite structure to work together with all these crystals as to create one powerful system called the second generation EoE kundalini generator. It is solely made of apatite, herderite, prehnite, nephrite, hematite, garnet and quartz. This generator is used to link all the EoE products so the moment the generator increases in energy, all other products linked to this system will also increase in energy. As most of these crystals are rare and extremely expensive in clear quality, the choice was made easy to use natural quartz as our main product of choice with apatite and nephrite spheres as well because they are the most powerful for the EoE. Also amethyst and citrine are added to our product line as they are both a variety of natural quartz and have the same basic properties as clear quartz with the added emphases of calming the mind in the case of amethyst and boosting the kundalini in the case of citrine. Now that there is a firm understanding of the workings of the EoE lets go into the possible methods you can use to speed up the cleansing process even further. In India there is an old saying that there are only 3 ways to handle stress (charge). One is to run away from it, the other is to try to solve it (or fight it) and the last is to stay with it. Only the last option will give you ever lasting peace on that subject because that is the only way you can really discharge the stuck energy. In Buddhism this type of meditation is called Rigpa. 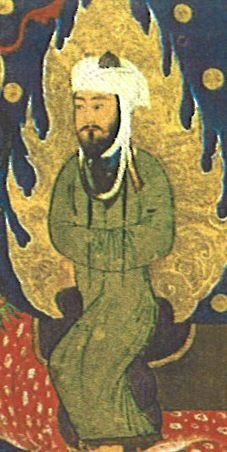 Rigpa is the practice of staying with the “what is” until it dissolves. The EoE will automatically move you into this process because it creates a silent mind and opens the heart. When the mind is silent, you automatically stop solving and when the heart is awakened you will not run away from it anymore. The kundalini will do the rest. However it should be noted to the owner of any EoE tool that you will have to experience these stresses that show up as part of the process and allow them to flow through you otherwise you are fighting against a stream of water instead of becoming the water (water being the kundalini flow in this case). However you can also speed up the process by letting these stresses show up in the first place. For example when the temperature is just right and the environment allows for it, be naked. Don’t hide behind a wall of clothe or shyness when other people might see you or belief desires will take you over, just be free. You will be amazed how deeply you can relax and accept yourself and simply be yourself without all the stress of shame and having to worry about how you look or what other people might think of you etc. The EoE will greatly help you in releasing all these stresses around simply being naked. Remember, this is the main reason why the kundalini does not flow up in the first place. The same counts for simply being yourself all the time or allowing problems, emotions, suppression, guilt, desires and other similar stuff to show up. Do not avoid or react to them anymore but welcome them with open arms and let the EoE do its job. Don’t try to solve or run away from them anymore, but stay with it. If you stay with it, stress will act like a ball you drop from a high building. The first time you really stay with it is the most difficult one as it takes a lot of time and makes you really feel the stress until the feeling is gone, however the stress will return in time just like the ball that bounces back up but with less intensity every time it bounces until it bounces no more and silence and joy takes its place. Doing this on your own will take extremely long but with the help of EoE you not only speed up the bouncing process, you also reduce the height where you drop the ball in the first place. So what to expect when you start using the EoE. One of the first and most common reactions on the EoE is the silence of the mind. It is not that the mind is gone or asleep, but is simply more quiet. An immediate result of this is that you become more silent as well. At first this is something to get used to as you might get the idea that you become forgetful or that your memory is not working the same as it used to. A lot of times this is accompanied by lots of yawing and a change in sleep and dream patterns. This is nothing to worry about, it simply takes time to adjust from an always chattering mind to a more silent one where you also not using it as much anymore. Another thing which can be felt immediately as well is that the heart starts to open up and this can be scary at first as it may feel like heart palpitations with difficulty in breathing and dizziness accompanied with a feeling of stress and anxiety. Well if you allow this opening up to take place, the wall around your heart starts to dissolve and a warmth will take its place that will put you onto a flow which cannot be intellectually explained but carries you throughout life and you will start to recognize that the idea of control was exactly that, just an idea. There was never anybody there that had control in the first place. Also the influence of suppression (people who try to make others wrong or small – the main reason that people have a wall around their heart in the first place), seems to fade away over time. People who suppress do not hurt you anymore because the you that got hurt in the first place is being dissolved by the heart. As the EoE keeps on working on you and starts to expand the kundalini, there are certain things that might show up as part of the expansion. One of them is headaches and neck pains. This is nothing to worry about and is part of the process. What can help is to lay on your back on a bed or massage table with a perfect straight back and neck. Don’t force the thinking process anymore, but simply do nothing. If there are dreams coming up, let them. If the headache irritates you feel the headache. If the neck pain bothers you, stay with the pain. It will take about 20 minutes until the kundalini will force the stress causing the headache or neck pain to break and flow out of the crown of the head. Electric shocks that make your body twitch or move involuntarily are also very normal as well and are called kriyas. Also the feeling that your whole body vibrates from the inside is not uncommon. Unable to control your body temperature is another direct result of the kundalini and again is nothing to worry about. Normally this is being felt in the hands and feet first as they become extremely cold due to the energy flowing out of them due to the downwards flow of energy and on top of your head it feels very warm where the kundalini exits the body. 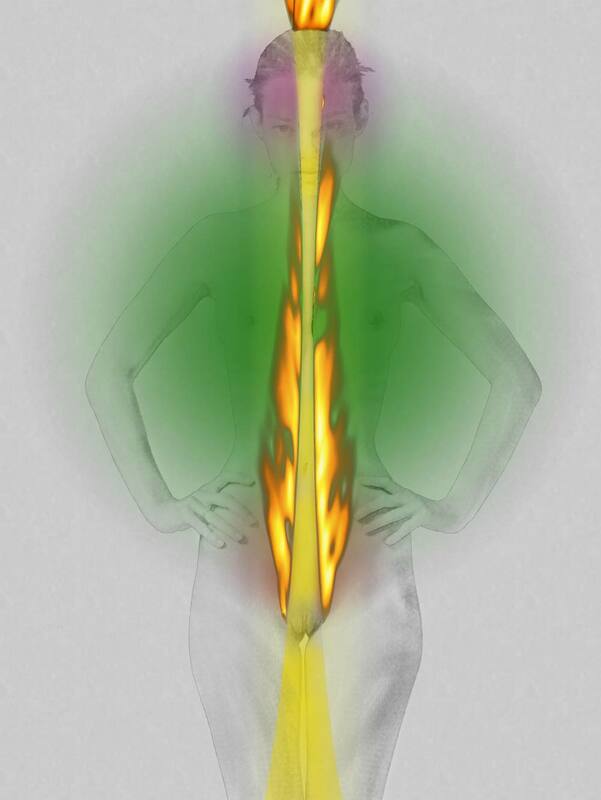 When the energy blocks somewhere in the body the kundalini will burn that blockage until it can flow again and this can make the body feel extremely hot. Again if this happens just like with headaches or neck pains, lay on your bed and let the kundalini do its work. Another interesting thing that will show up with prolonged use of the EoE is the sense of energy. Maybe you could already sense energy before because you were initiated in reiki or practiced Tai chi or simply already had the ability already, but now you start to sense all kinds of energies around you from trees to other people and you are even able to sense what they are feeling instead of just looking and listening what you were used to do. You will start to become one with your environment and start to really love everything, not just a select group of people and you will feel less and less triggered by the environment but remain more and more yourself in whatever the environment brings up. Because of this you automatically start to care more about life around you and things like vegetarianism or alternative healing and alternative education can become a normal thing in life for you. This also means you will start to have more trouble with people who are mentally a lot more active or very egoistic and you might even end up changing your whole relationships where you used to accompany those with an active mind and closed heart to those who are more silent and open hearted. If you are more advanced in the kundalini process, instead of headaches and neck pains you might experience shoulder pains and heart aches, like having a big bruise around your heart. By just knowing that this is part of the growth process it will not bother you as much anymore. Also the deeper stuff inside the heart will be awakened by the kundalini at a certain point. These include feelings of depression and loneliness and again knowing that this is part of the kundalini process you can surrender to it much easier and let the kundalini do the rest. The EoE will help you greatly in speeding up the process and softening the pain by keeping the heart open. However the fact remains that also these items have to be fully experienced to become completely dissolved and that is not always easy. An EoE therapist can be of great help in pushing you through these difficult times with the use of an EoE generator. If you have lower back pain, emotional troubles that do not clear away for whatever reason or more serious trouble with the kundalini you should visit an certified EoE therapist who has an EoE generator and other tools that can be of great help. The EoE is a gift of the new age to make it possible to free the world of its own imprisonment and change it into a more natural, open hearted world free from desires, suppression, stress and ego. A world where people can be who they truly are with a radiant open heart and silent mind.